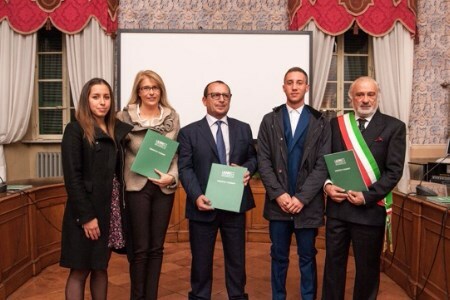 On Friday 14 October at the Council Room of Busseto (Parma) City Hall, the official presentation was held for the company monograph of Laurini Officine Meccaniche, an important business that has brought Italian excellence to pipelines across the world. The President of Laurini Officine Meccaniche, Marco Laurini, kindly thanked all the guests for their participation and stressed the importance of the monographic work for his company, but also for the entire district. The presentation concluded with the distribution to the guests of a free copy of the prestigious volume and a rich reception with entertainment, featuring the noted soprano, Ariadne Greif.